International Manpower Resources Private Limited is registered in Central Contractor Registration (CCR) for DOD and GOVT projects with D.U.N.S # 650471712, N.C.A.G.E # SHU51 and UNO-UNMG # 117011. 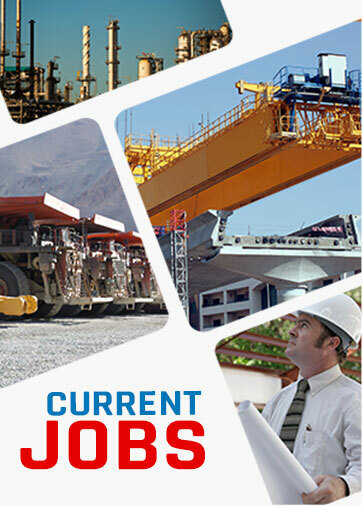 Besides our two decades of experience, expertise and excellence in staffing recruitment consultancy, solutions and recruitments, and our supply of over seventy five thousand personnel for over a hundred and twenty businesses across several industries around the globe; we’re also renowned for our specialized support services’ personnel recruitments and provisions for the highly organized sectors and projects like those of UN (United Nations), NATO (North Atlantic Treaty Organization) and CANCAP (Canadian Forces contractor Augmentation Program). IMR was chosen to be the exclusive contractor, through PAE Government Services (USA), for the supply of all required support personnel for UN’s project in Congo, in 2002. Manpower support for expeditionary construction projects was one of the prime areas we supplied workforce for. This included everything from building lodging facilities for UN peacekeepers to building base camps for housing African Union troops. The project operations involved sourcing, procurement and delivery of any required construction material and equipment; besides construction of new and refurbishment of existing facilities. It also included erection of modular containers and tented structures, installation of water purification systems, power generation equipment and waste treatment plants. It further required follow-on operations and maintenance support, which included equipment and facilities operations and maintenance, catering and medical services, fuel and other consumable supplies support, communications support as well as ground transport support. The project also required establishment of supply chain solutions, and logistical support.Such projects and missions, especially in the highly unsecured and remote areas, with nearly defunct infrastructures and disaster situations, require forces (support teams) for stability operations, peacekeeping and disaster recovery efforts. In 2003, IMR emerged as the chosen support services provider for CANCAP’s ISAF (International Security Assistance Force) projects in Afghanistan, where our supplied personnel’s services included camp constructions, reception and movements of camp material and provisioning of camp support materials and supplies (food services/catering and fuel supplies). Like for the UN project, it also included local procurements, laundry services, water purification and waste management facilities, engineering and technicians support, fire services, accommodation control, communications and information systems installation, maintenance and support. As is with every such mission or undertaking, establishing logistics support and supply chains was a significant responsibility too. Another relatively recent project we were honored to have been associated with was, NATO’s KAF (Kandahar Airfield) Project. Our services for this exclusive contract we signed with ATCO Frontech (Canada) for recruitments for the KAF were highly recommended and appreciated, well in similarity to the commendations we received for our UN and CANCAP Projects. The KAF project required recruitments for three prime areas – equipment (air traffic control radars, radios, navigation aids etc. ), infrastructure (control tower), and staff (air traffic controllers and maintainers). The project required installation of new radars and navigation equipment, construction of a new air traffic control tower and the recruitment of ideally qualified air traffic controllers and maintenance personnel for the air traffic control equipment. You’re welcome to reach us via email at client@imr.in to know how we can be your one stop manpower recruitment agency.